Join Randall for a very special dinner at Tavolo Wine Bar & Tuscan Grille on Federal Hill in Providence, Rhode Island! 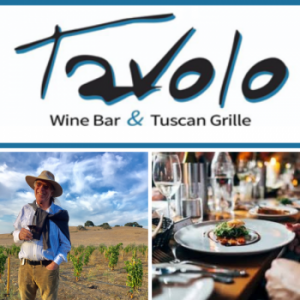 Contact Tavolo at 401-274-6000 or visit them at tavolowinebar.com more information. Stay dooned for more details!